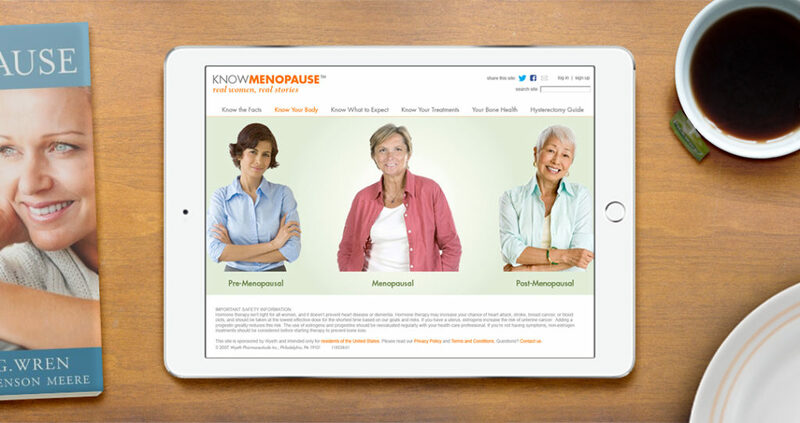 Since menopause progresses in phases, the website uses tabs. The tabs allow its users to see the differences in each phase and understand what to expect. 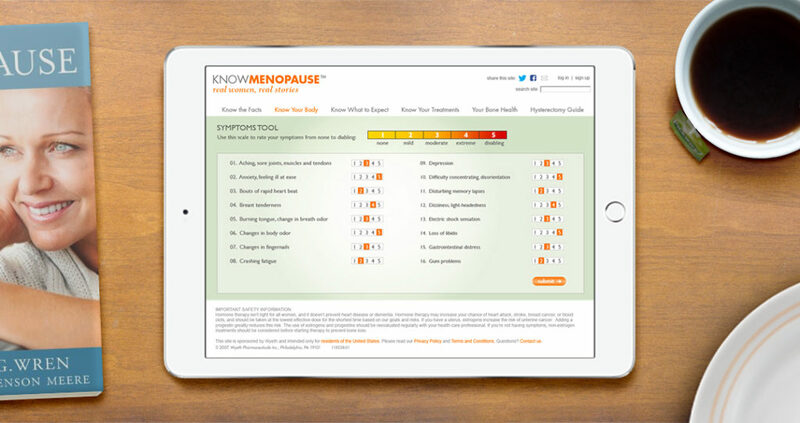 A symptoms tool was built to allow women to diagnose themselves.